S4BB Limited announces the unique Mobile Productivity Course. This course is dedicated to help you improve your productivity with mobile devices. The course will start soon. 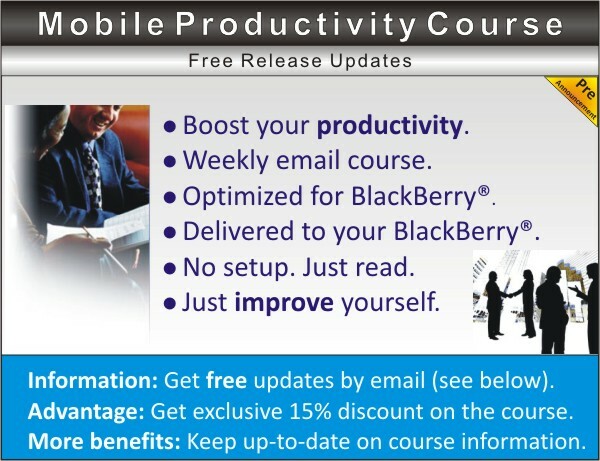 If you are interested please subscribe to our free Mobile Productivity Course Newsletter below which will keep you up-to-date to be the first to know that the course is starting as well as it qualifies you for an exclusive 15% discount on the course. This course has been developed in cooperation with experienced mobile productivity experts from all over the world. Take part in the mobile revolution and learn more about its benefits! This service is proudly brought to you by S4BB Limited.